Holiday Oatmeal is filled with fresh apples, dried fruits, nuts, creamy oats, and brown sugar to create a deliciously filling hot breakfast. Barely 15 minutes from start to finish and a piping hot, warm and creamy breakfast can be on your table. 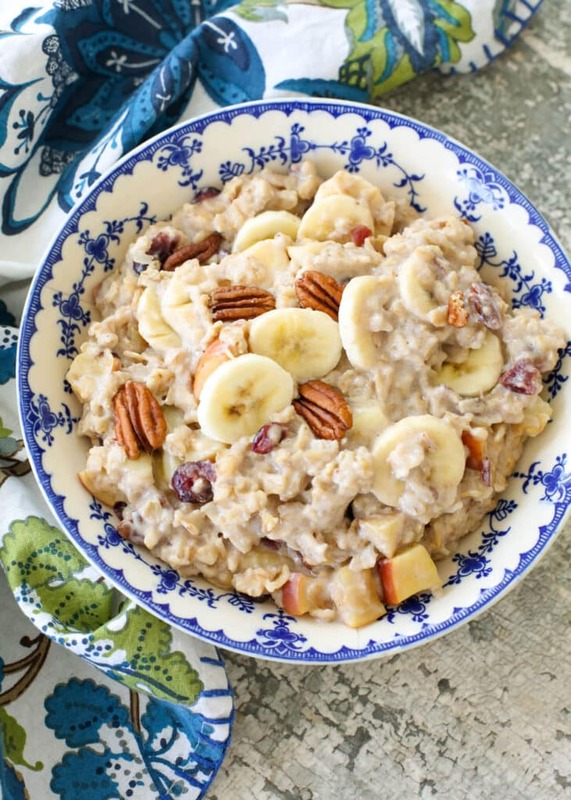 Holiday Oatmeal is a great way to start a crazy fun day of cooking and eating during the holidays or any other day of the year. 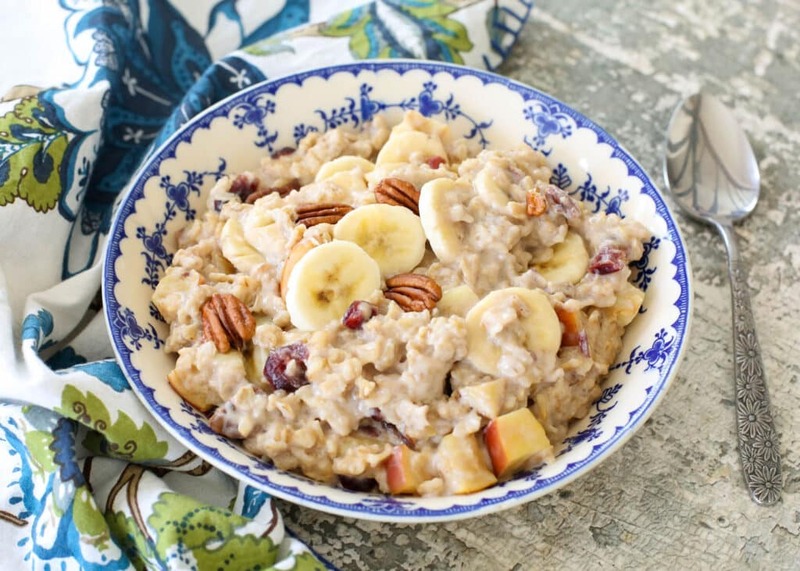 Holiday morning or not, this oatmeal is a great way to start the day year round. This breakfast requires minimal fuss and it will keep the family full until the main eating event of the day. I’ve made this a couple of times this month already and I’m planning to make it again for our Thanksgiving breakfast. You can make this with milk or water and it is great both ways. When I make this with water, I top each bowl with a pat of butter as well. Updated to add: We’ve been making this oatmeal year round for almost 5 years now. It’s a huge favorite with both Sean and I as well as the kids. Every guest we’ve ever served this to has requested the recipe. Whenever we have an abundance of apples in the kitchen, it’s a sure bet that they’ll make their way into our oatmeal in the morning. Check out all of our Oatmeal Recipes and for more great ways to start the day, these Microwave Egg and Vegetable Sandwiches and these Rise and Shine Breakfast Burritos are both terrific on-the-go options. Brunch Eggs are a great way to feed a crowd and make sure everyone has some protein on their plate too. 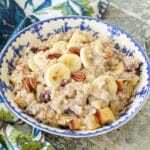 In a medium size saucepan over medium heat, combine the oats, milk, apples, cranberries, pecans and salt. Cook, stirring frequently, until the oatmeal has thickened. This should take about 10-12 minutes. Remove from the heat and stir in the bananas. Scoop into bowls and top with a tablespoon or so of brown sugar. Enjoy!